Lightweight polymer frame. Fully shrouded zero-profile hammer. Ambidextrous thumb rest. High visibility fiber optic front sight. 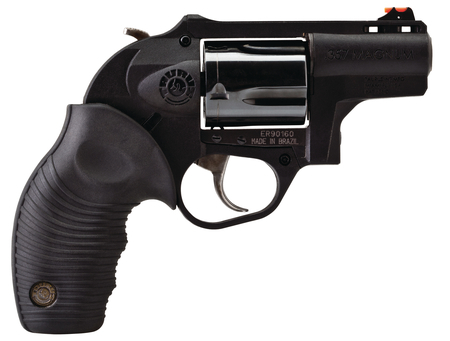 Double action/single action trigger. Ribber grips. Taurus Security System.